Unfortunately, there are no real standard sizes in the industry. Plugs & compatible jacks can vary by barrel diameter, pin diameter and barrel length. Even the polarity is non-standard. Some appliances actually use the center pin for negative/ground and the outer barrel for positive. You can determine which one is used by the pictorial representation found on the side of a gadget. It will show the pin and outer barrel and the polarity of each. Even though there are two diameters that determine the size of the jack/plug, usually only the pin diameter is specified. For example, the popular 2.1mm jack has a barrel diameter of 5.5mm. The barrel diameter is assumed in most cases. Despite the total lack of standards for household stuff, for the hobbyist, some popular sizes have emerged. For low power connections, the pin diameter is 2.1mm and the barrel diameter is 5.5mm. For higher current connections, having currents greater than 2.0 amps, the pin diameter is usually 2.5mm with a barrel diameter of 5.5mm. Barrel length on the plugs seems to have settled at about 9.5 to 12mm long. The length match is not as critical as long as the plug is sufficiently long to make good contact in the jack. The jacks, plugs and power adapters we carry are all compatible with each other regarding the length. In your own projects, polarity is a matter of individual choice. The convention should be positive for the pin (TIP), and negative for the outer barrel (RING). This practice is nearly universal except for some odd-ball gadgets. The RING_SW pin detects if a plug is inserted. When a plug is inserted this pin will no longer be connected to the RING pin (Gnd). All About DC Barrel Jacks/Plugs by Provide Your Own is licensed under a Creative Commons Attribution-ShareAlike 4.0 International License. This entry was posted in Tech. Section: Product Info. Bookmark the permalink. Both comments and trackbacks are currently closed. 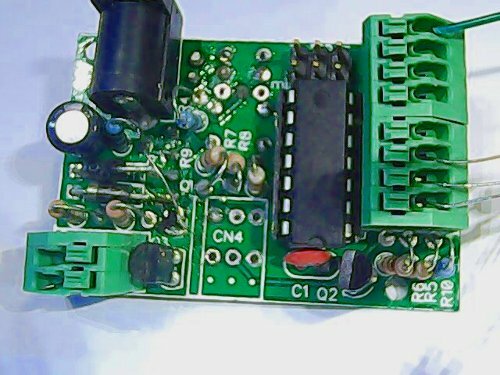 We chose the EMSA050300 adapter for 12v input for my project. So we can select the Connector PJ065A to the EMSA050300 adapter. Hence how can connect the PJ065A with my circuit board. Because we need to give the 12v from the adapter to LM2675-3.3(converter)IC in our circuit. The PJ065A has 3 Contacts in that schematic. Please can you give the description about the 3 contacts in PJ065A for me as earlier. Which one is connect to the VIN pin of LM2675? and What about another 2 pins? Just go to digikey for the PJ065A and look at their spec sheet. It gives the pinout for the jack. Free data recovery softwaredownload to recover lost or deleted file, photo, video, document from hard disk, memory card, USB drive, mobile phone on Windows PC.